يشكل فندق Mornington Peninsula Accommodation بموقعه الممتاز في قلب راي نقطة انطلاق ممتازة لاستكشاف مورينجتون بنينسولا. إن موقعه الجيد الذي يبعد 95 km فقط عن مركز المدينة يساعد النزلاء على الاستمتاع بمعالم المدينة ونشاطاتها. كما يمكن الوصول بسهولة إلى Sorrento Beach. إن Mornington Peninsula Accommodation حريص على توفير الراحة للنزلاء، فلا يوفر الموظفون جهداً في تقديم أفضل الخدمات وضمان حسن الاستقبال. لضمان راحة ضيوفه، يقدم الفندق الخدمات التالية: صف السيارات, غرفة عائلية, مرافق للشواء, جولات, الحيوانات الأليفة مسموح بها . 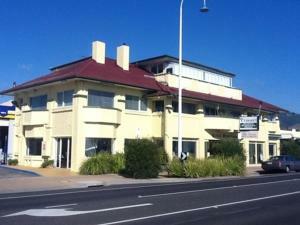 تنعكس أجواء Mornington Peninsula Accommodation في غرف الضيوف.تلفزيون بشاشة مسطحة, غرف لغير المدخنين, مكيف هواء, شرفة/ تراس, تلفزيون هي بعض الميزات الموجود في العديد من الغرف. كما أن مجموعة الخدمات الواسعة الموجودة في الفندق لضمان راحتك تترك لك الكثير من الخيارات لقضاء وقتك أثناء فترة إقامتك. 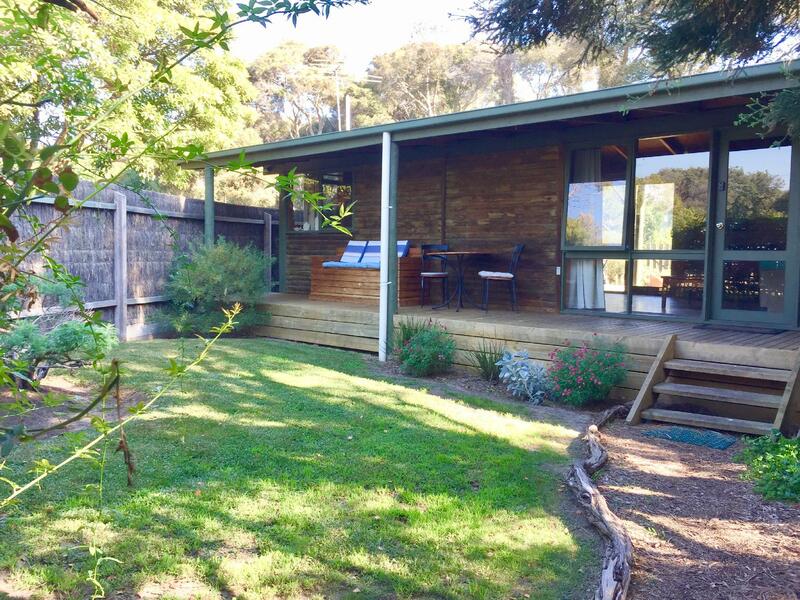 مهما كانت أسبابك لزيارة مورينجتون بنينسولا، فإن Mornington Peninsula Accommodation هو الخيار الأفضل لإقامة مثيرة وممتعة. يمكن توفير بياضات الأسّرة نظير تكلفة إضافية. يُرجى إخطارنا إذا كنت تريد الحصول على بياضات للأسّرة. تُدفع رسوم بياضات الأسّرة في العقار. The BayPlay cottage is affordable & in a great location. Nice & quiet as it is off the main street yet close enough that you can easily walk to Blairgowrie cafes & quickly drive to other seaside suburbs in Mornington Peninsula. It would have been nice to know that the pool is only available upon request prior to booking (this information was provided after booking). In saying that, Im not sure I would want to swim in it as it had not been cleaned (lots of muck could be seen on the bottom of the pool & perhaps this is why it is by request). The cottage itself is practical & although I didn't have a problem with it myself, I should say that the kitchen is small & there is no pantry storage which could be an issue for a large family on an extended stay. The cottage has a great front/back yard. Though pet friendly, the fence would not contain a small dog as they can easily fit underneath the gate, something I would like to see rectified. Some maintenance is needed too, chunks of lino are missing on the floor, the reclining armchair does not work, the mattress on the double bunk is very springy & hard, no toiletries or a hand towel are provided for the toilet/bathroom & there is lots of dust around. Cleaning seems to be done upon vacating but isn't done again prior to arrival, which means the cottage smells musty upon arrival & needs to aired out. The property isn't all bad, I found it to have pretty good facilities, it was large and comfortable enough, centrally located & pretty affordable and the staff I spoke to on the phone were amazingly friendly & helpful. Though my mother (who I took with me) said she wouldn't like to stay there again, my father & I would be quite happy to. So basically I would recommend this cottage to anyone who can handle basic budget accommodation but not to someone who thinks all the finer details should be attended to. It is a cottage to live in, that is all. Not quite price competitive, around 500 metres to the beach(so you can't wear the swimming suit and walk to beach easily); they have diving lessons in a small swimming pool which might be good for the dive-learner; There is entertainment in cottage however it would be better if the TV can be upgraded. Big cabin, with everything you need. good place, however the agoda voucher had the office address which is different to the actual address of the accommodation which made us get lost. the cottage was very tidy and in good condition. we were pleasantly surprised to find a spa pool, which we were able to use the first night (the next day it was undergoing maintenance). apparently it is a bit dodgey which is why they don't advertise it on main site. also you need a descent map to find it as lots of narrow roads in surrounding area. its not near any facilities so users need own transport.